Heart of Kerrisdale, first time on market in 15 years! This type of home is a rare find, you will be moving into a 2 bedroom, 2 full bathroom, 955sqft corner penthouse home that has been recently updated with new paint and carpet, 100% move in ready. 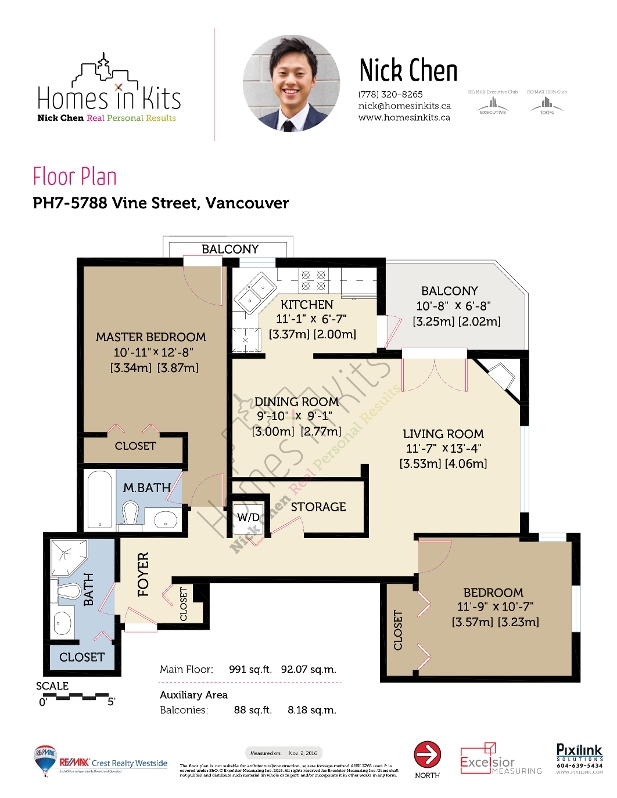 You'll find the home is smartly designed with a open floor plan allowing easy placement of furniture, and includes a generously sized in-suite storage that can be easily converted to a private office. When you want to enjoy a good book or drink outside from the comfort of your home you can step out onto your spacious top-floor balcony, no need to worry about neighbours above you. 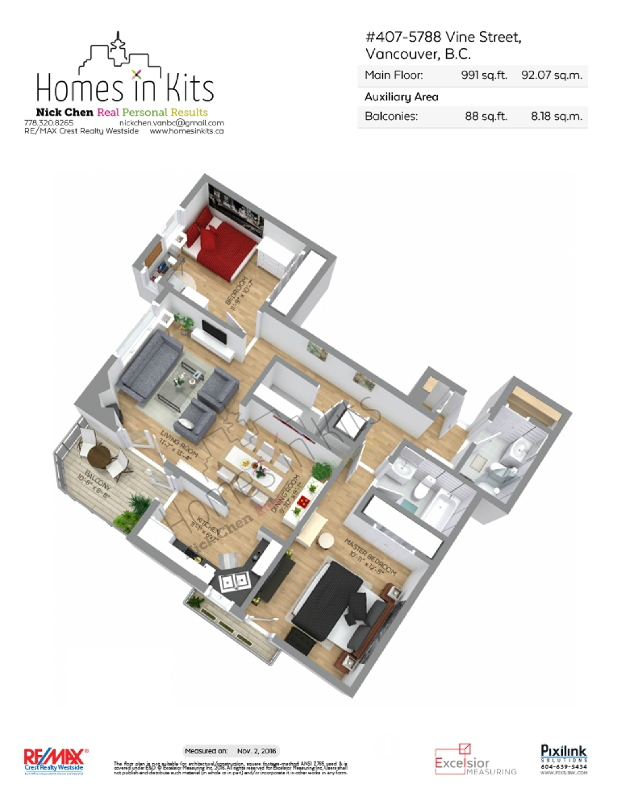 And an incredible bonus for you is the 2 parking spaces that come with the home! Your Kerrisdale Village neighbourhood has all the convenience you'll want, easily walkable to chain and locally owned stores, top rated restaurants and casual eateries, quick bus route to UBC or Oakridge Centre, and short distance to Point Grey Secondary School, Magee Secondary School, Quilchena Elementary School, Maple Grove Elementary School, Kerrisdale Elementary School, Elm Park, and Kerrisdale Community Center, that houses the library, pool, and more!